State Bank of India (SBI) released Admit Card of Clerk 2018 examination. 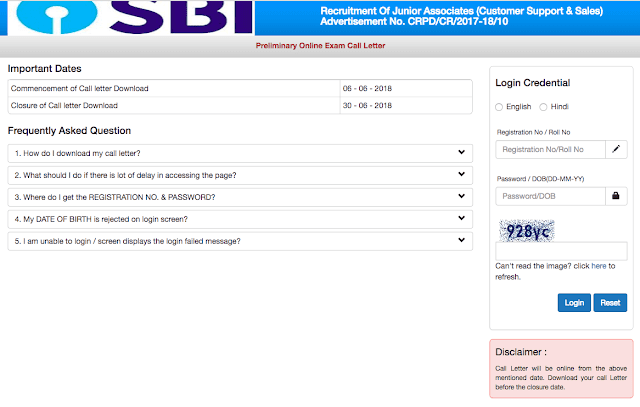 State Bank of India has released admit card of SBI Clerk 2018 Examination. SBI Clerk Prelims exams will be held on 23.06.2018,24.06.2018 and 30.06.2018,. You can download your admit card from the link given below.